Dr Shreya's Health and Homeopathic Blog: Homeopathy and Breathing Techniques for the Tranquillity We Wish For! Blog Site of www.DrShreya.com! 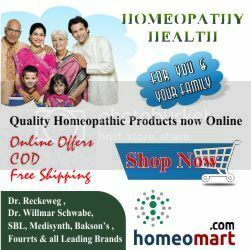 What you can do here -- 1) Seek Expert Homeopathic Consultation Online at affordable rates. 2) Purchase Readily available / Customized Homeopathic Medicine Kits for Day to Day Use 3) Shoot a mail at contact@drshreya.com for any health query! Homeopathy and Breathing Techniques for the Tranquillity We Wish For! Most of my patients know that when I prescribe, I give a set of auxiliary guidelines to follow to almost all my patients. 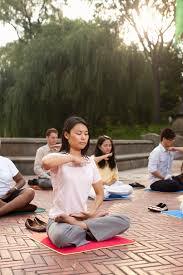 In most of them, irrespective of the health issue they suffer from, I prescribe certain relaxation techniques and breathing technique like Pranayama. No wonder most people get back with a positive feedback saying they are getting positive improvement when they couple homeopathy with these auxiliary guidelines. To understand the complementary nature of homeopathy and yoga or Pranayama, we need to know where and how homeopathy acts. Homeopathy, as most of you know, is a holistic way of healing. It treats the ‘Person’ and not just his or her ‘disease’! The reason behind this holism is quite obviously the subtleness with which the homeopathic minute dose acts and the subtlety of the plane on which this dose acts. When a man lives in this world, he wears layers of masks on him. He may ‘show’ the strength physically, mentally and emotionally. At the same time, he may hide his innate fears, guilt, bad habits, mental setbacks and things alike. During homeopathic case taking, the keenness of observation and a proper comprehension of the past history shred these masks to pieces. A homeopath tries to visualize the intricate human being, one of the delicate species on this earth that is as vulnerable as any other animal. When that real human being is grasped in the mind of a homeopath, he prescribes as per the patient’s personality. Personality is nothing but the REAL YOU! And that real you is one of the most subtle things you can see. That is why when the homeopathic minutest dose acts favourably, it influences that inner being, which is vulnerable owing to its subtlety. Rather, it will not be an exaggeration to say that unless the homeopathic dose is closest to this subtle plane, CURE is impossible! Yoga and Pranayama are the best possible techniques that again get one closest to their innermost being. “Yog” means Union. It is the union of you with your soul, where the Higher Power resides. All religions and scriptures agree to this. That is why Yoga and Pranayama are NOT religious entities; they are for one and all. They are the way of living a purposeful life for which we are born! That is the reason, many times I insist to my patients to begin some kind of relaxation technique or breathing technique first and later we get them on homeopathic course of treatment. That way, the doses that we design for CURE act more favourably and suitably. I think it is my observation and I am sure many homeopaths who believe in Yoga and Pranayama will agree to me that people, who have some inkling towards inner journey of the soul, are better candidates for homeopathic treatment. That obviously does not mean homeopathy does not act on extroverts. But I believe, when applied properly, homeopathy not only relieves the external health issues but it converts the individual positively, brings tranquillity in their lives and stabilizes their disharmonized lifestyles. Many times I feel we homeopaths have much more to do than merely treating the sick. With our medicines and the judicious auxiliary regimes, we can actually change the world to a far better position than what it is now! Even when one person transforms himself to a positive calm individual, the society at large transforms eventually, isn’t it? A devout homeopath who is proud of the science and art of homeopathy. Homeopathy is the "life-science" that I tried to learn under the guidance of my beloved teachers! Now running successfully Dr Shreya's Online Homeopathic Clinic at www.DrShreya.com, through which I have had privilege to treat thousands of cases homeopathically worldwide! Top 6 Tips to Prevent Leucorrhea (White Discharge) in Women! Some Interesting and Funny Health-Facts for You! Top 10 Homeopathic Remedies for Headache! Epilepsy and its Homeopathic Management!